I have a good friend that allows us to descend upon her house every Halloween. She throws a party and the kids relieve the neighbors of their candy. It’s a great night. This year she had a theme of the Roaring Twenties. As it is potluck I dug out my 1926 “The Boston Cooking School Cook Book” by Fannie Farmer. I love old cookbooks and I have several of hers going back to 1897. I would love to get my hands on the 1896 one! I used this as a guideline as I didn’t have parsley, really don’t like buttered cracker crumbs, and didn’t want to open a jar of chicken stock for this. 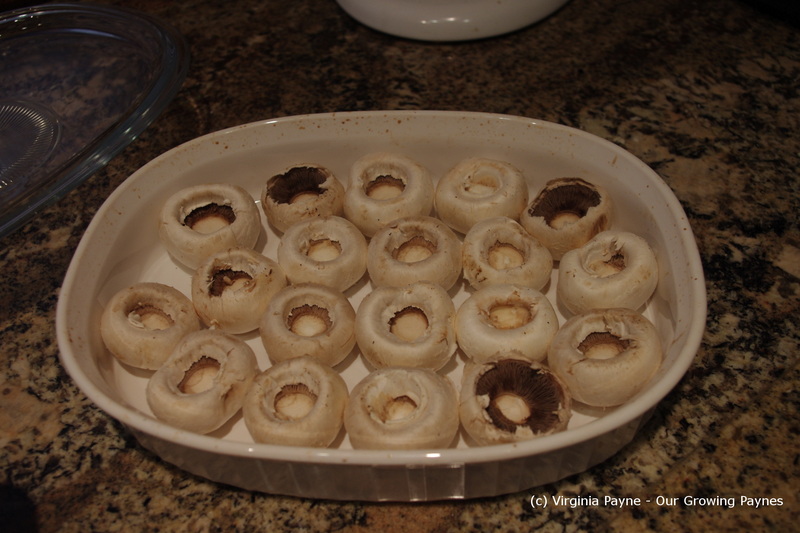 So I destemmed several mushrooms, as many that would fit into the baking pan. 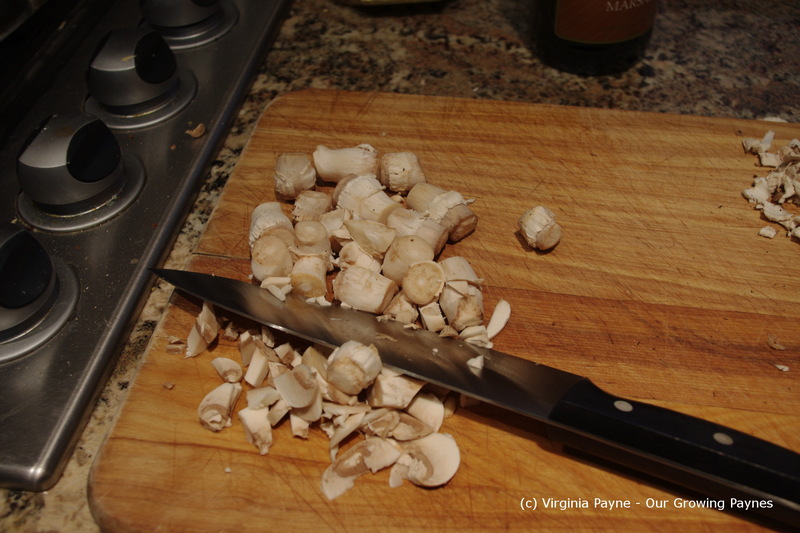 I chopped the stems are realised that I needed more so I chopped up another mushroom. In hindsight I should have chopped more than one. Then I melted 3 T of butter. 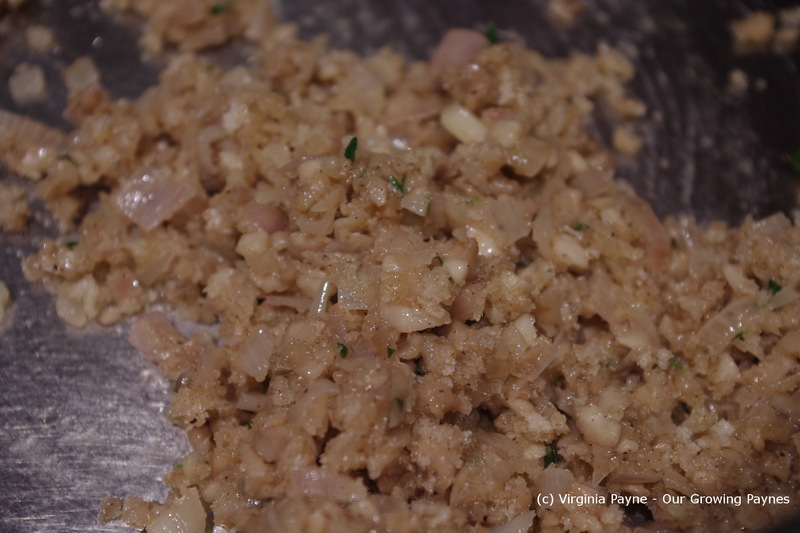 While that was melting I finely chopped a shallot and fresh thyme and added them to the butter. 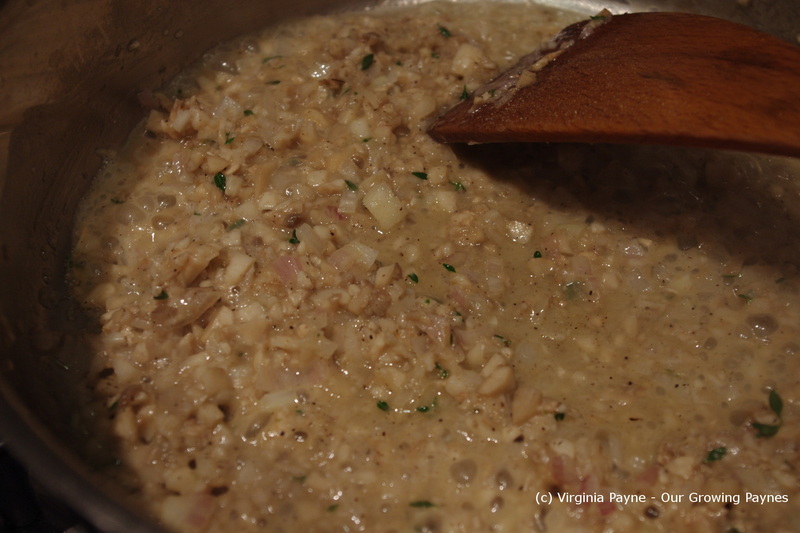 After a couple of minutes simmering in the butter I added about 1/2 cup of marsala wine to the mixture. I let it simmer again for a few minutes then add 1/2 cup of parmesan cheese and about the same for panko bread crumbs. I then stuff the mushrooms. 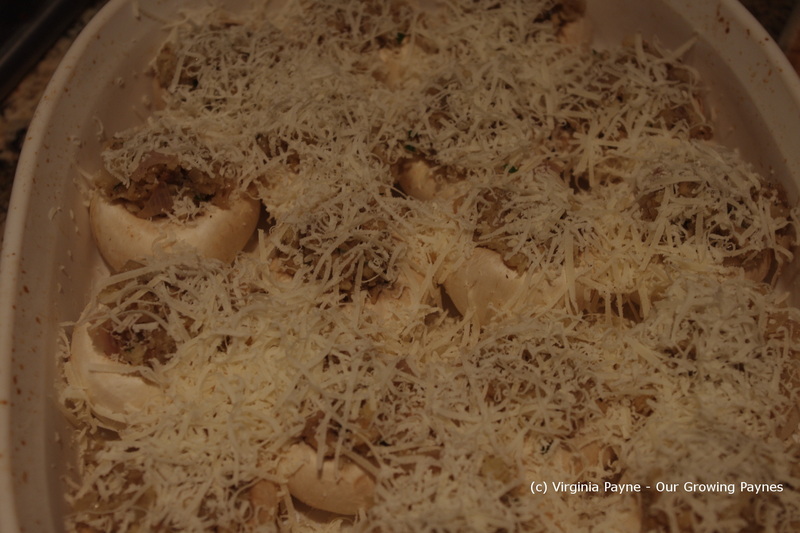 I liberally apply fresh parmesan cheese to the mushrooms. I decided it would be best to bake them at the party so once I got there I put the oven to 400 F. I assumed that would be a “hot oven” like the cook book said. I let them bake for about 15 minutes. They came out well so I’ll be making them again as they are really easy to make. 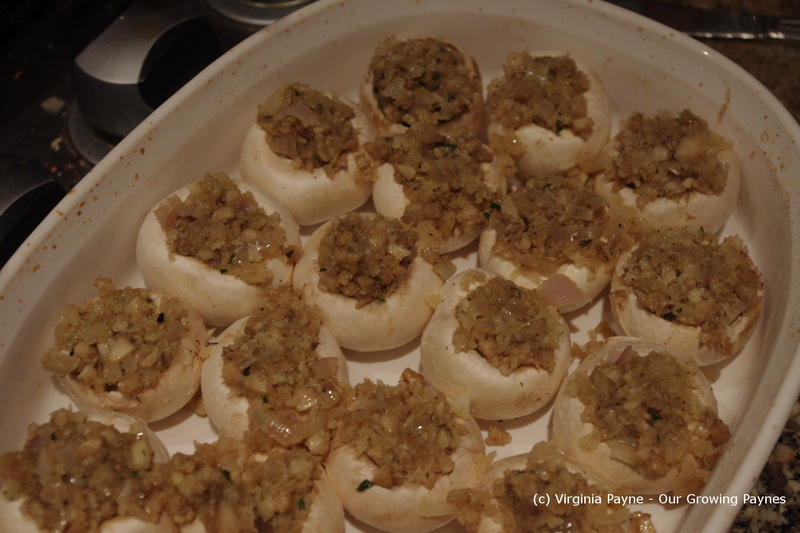 This entry was posted in recipes and tagged baking, butter, cooking, food, marsala wine, mushrooms, shallots, stuffed mushrooms, thyme, vegetarian. Bookmark the permalink. Thanks, the old cookbooks are interesting. Both in how the recipes are written and what they ate. It must have been quite the learning curve as you would have had to learn what kind of fire to build to bake or cook. We have it much easier now! That’s brilliant. Meanwhile Cook is muttering under her breath! what a wonderful recipe. I would do this if I had guests too. It is a very good idea and very tasty too. Thank you. I think I would make this again. I usually go for the really cheese filled stuffed mushrooms but this would be a good compliment to that. I look at some of my Grandma’s old recipes and it says similar things to “bake in a hot oven”, it makes me laugh. I love all the little side notes I find too. The mushrooms look great and how easy! They are fun to look at, all those old recipes. I wonder what Fannie Farmer would think if she saw how it is now. This looks amazing!! I wish others in my family likes mushrooms as much as I do! Maybe this would change their minds. I would go for more of a cheesy stuffed mushroom. This is definitely a mushroom flavour through and through. This looks scrumptious and adorable. I don’t prepare mushrooms a lot because I have family and friends that don’t really eat them. I love this recipe. The stuffing and cheese = delicious!!! 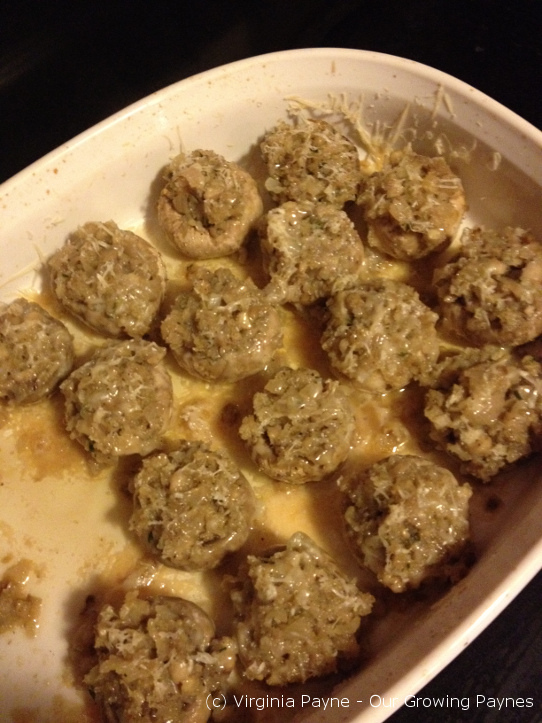 I’m sure your stuffed mushrooms were a real crowd pleaser. Mmm, tasty I am sure. Excuse my Australian ignorance, but what are “panko” breadcrumbs? Fascinating. I’ll have to see if they are available here. How do they differ from ordinary bread crumbs? They hold up better than regular bread crumbs. A better crunch. Thanks for that. Will have to research them here in Oz. These look delicious! My Mom’s first cookbook was Boston Cooking School when she got married. 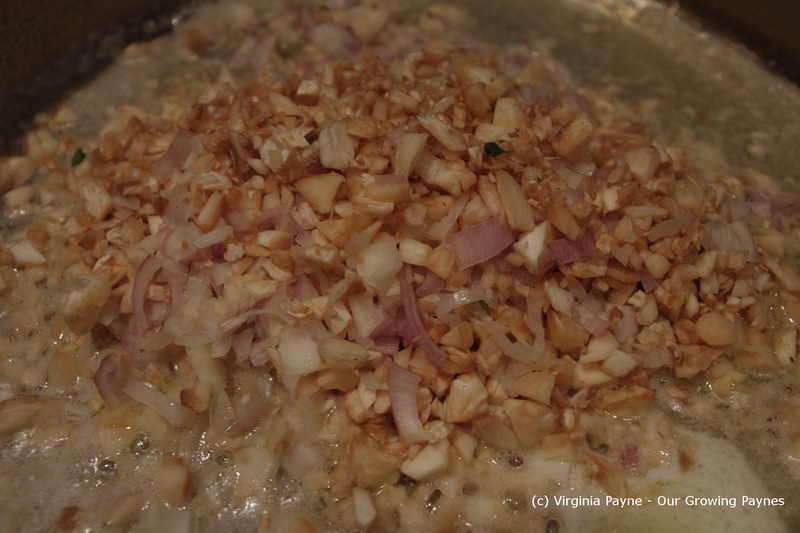 I love looking through that old book – the recipes are basic and when you prepare them you know you will have a winner. Am now following you. Thank you for following me. 🙂 I have a few Fanny Farmer books going back to 1897. Would love to have the original 1896 one!